Run this checklist every time you are about to publish a new piece of visual content. Publishing visual content can be a quagmire of legal and technical issues if you are unfamiliar with the process. By using this checklist for each new image you upload, however, you can ensure that not only will there be no question of legal ramifications, but the image will both fit all mediums and rank well in searches. First you need to make sure you have rights to the image before publishing it. Use the form fields below to record a copy of the visual content (purely for ease of access), a link to the content and what right you have to publish it. The easiest way to know you have the rights is if you took the picture or made the graphic yourself. If you did not, you need to make sure you have the rights to publish the image. Be careful however, as doing the above doesn't always 100% put you in the clear. Lifehacker published a great post on making sure you are in the clear when publishing other peoples images. Social Media Examiner also did a cool post about it called Copyright Fair Use and How it Works for Online Images. Next, you need to select the social networks which you will publish your image on. Record your choices with the subchecklist below (feel free to edit it to add any extra sites). There are a couple of things to consider during this process, but we've divided it up into two easy segments. Most social networks these days have great image support, take for example the major ones; Facebook, Twitter and LinkedIn. If you have a post with an image, you basically want to submit it to these 3 networks every time. 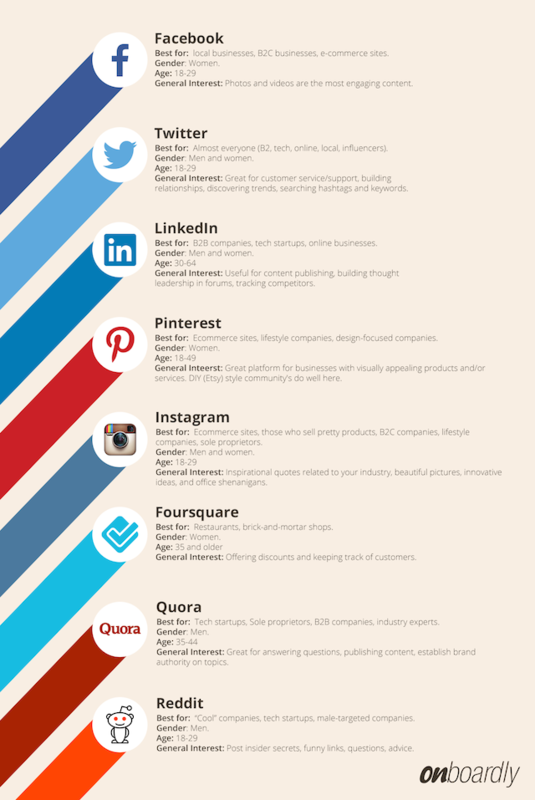 Then there are image specific social networks such as Instagram and Pinterest. If you want to publish the images themselves from your post, these are great places to post. Finally there are blogging networks like Tumblr and Medium. These are great for posting a summary of your work plus the image, or just the images on their own. Since all the networks support images pretty well these days, a better angle to consider might be the target audience you are going after. Now it's time to optimize your image's size and quality. Record your choice of image size using the form field below. The size of image you should post is constantly changing, and it's changing in the direction of bigger not smaller. We are starting to move into the world of retina mobile displays and unlimited 4G internet on mobile devices, which dramatically changes the size and quality of image you can serve up. There are still some limitations however. Google will penalize you for slow load times on your website, not everyone has fast mobile internet and lots of blogs and social networks do not support full HD images. So what is the best size image to post? On our blog we post images at 800px wide. This is a little higher than many of the standard publications. "the technology blog Engadget uses a width of 620 pixels and The Verge use full screen images over 1,000 pixels in their reviews. Many other blogs choose to use small images despite their designs being capable of displaying images much wider. Smashing Magazine tends to show images of either 500 or 550 pixels though their current design would easily accommodate 600 pixels." Based on that, you can see the range is probably between 500-1000 pixels wide (height is less important as most pages run down and can handle quite tall images). So depending on your blog design, you should pick something in that range. I would recommend between 600-800px wide. Image quality is a pretty complicated topic, but generally producing a jpeg at 80% quality will look great. Once you know what social networks you will be posting your post or images to, you need to make sure you have different images in the correct sizes. Record a copy of the image you are using for each social media platform with the file form fields below. Depending on how you decide to post your images, you will need to alter the structure of your images and posts. 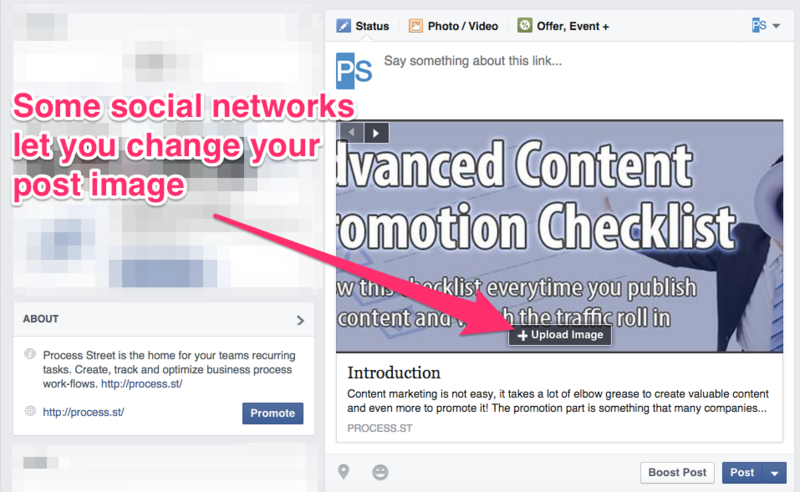 For example on Facebook, you may decide to use one of the pre-loaded images that show up when you share your post or page, or you may choose to upload your own image. In the above example, you can see my post image does not fit well with the Facebook post size, so in this circumstance it would be better for me to create a separate image with the right dimensions specifically for Facebook. 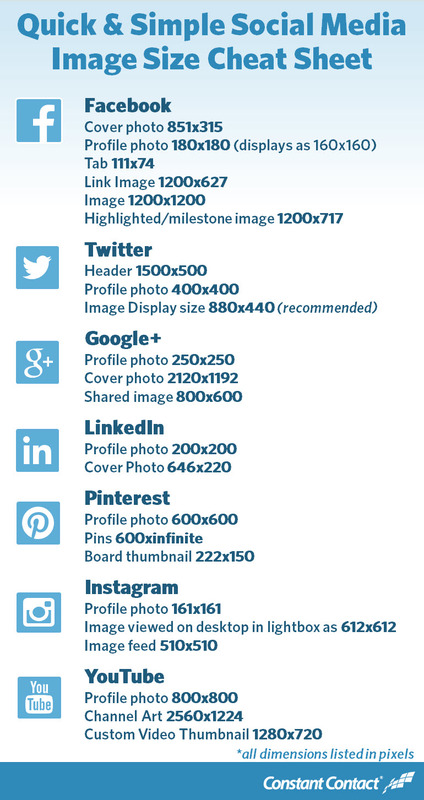 Below is a cheatsheet from Constant Contact that gives you the optimal post sizes for each Social Network. Your image now needs to be given ALT tags. Record the alt tags chosen in the form field below. If you just asked yourself the above question, this point is extremely important for you, so pay attention! ALT Tags are invisible descriptions of images which are read aloud to blind users on a screen reader. Adding ALT text allows authors to include images, but still provide the content in an alternative text based format. Why are ALT Tags important? ALT Tags are what Google uses to find and sort and display your images in the Google image search, and to understand the content of your page as a whole for traditional search results. Below is a video from Matt Cutts (Chief Famous Search Dude at Google) explaining why Alt Tags are important and best practices when naming them. Now your images are optimized for humans (as in they look all nice and pretty) it's time to optimize them for robots. This means creating descriptions and #hashtags for your image (remember to store them in the form fields below). By robots I mean the search engines. Obviously there is Google, but all the big social networks operate around search. Pinterest searches description and Instagram searches #hashtags. To make sure your content is discoverable across the internet, you need to optimize your description and tags when posting images. Make sure to watch the video by Matt Cutts on the previous task for ideas on this. For more ideas on descriptions and #hashtags, watch the below video. Once you have published your images to your blog, the final step is to distribute them across the social networks. There are a few different ways you can do this - choose from the form dropdown below. Remember to also record the date which you publish your visual content on with the form field below! The first way is manually. This would require you logging into each of the Social Networks such as Pinterest, Facebook, Instagram and either pasting in the link to your post and/or uploading the image directly from your computer. You can automatically post from your blog to various social networks using tools like Jetpack for Wordpress or IFTTT. These can be useful for saving time, however, the quality of the posts are generally sub-par. Images are not aligned properly (or the wrong images are selected) there are weird links added and posts generally don't look polished. You may be able to tweak these tools to do what you want, but I have never been able to get them to work right on all the networks. Viraltag is an awesome tool that lets you publish the images from your post to any of the major social networks. What's particularly cool about ViralTag however is they optimize the posts for images. With a few clicks you can post (or schedule) images to a number of social networks and trust they will look great. Congratulations on completing the visual content publishing checklist!